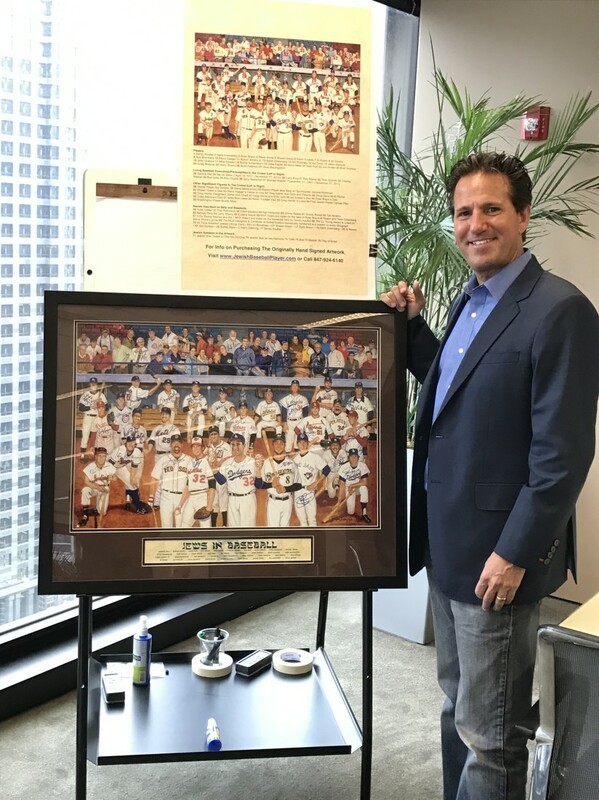 Pictured above at the Firm’s "Jews In Baseball" lunch on March 31, Chicago attorney and Jewish baseball player connoisseur Greg Harris with a Jews In Baseball painting signed by baseball legends. Greg Harris has spent a portion of the last 5 years traveling around the country to get the autographs of Jewish baseball icons on the painting and sharing his story. From tracking down Sandy Koufax for one of the last signatures to sitting down with Larry King at his southern California home, Greg shared the story of how the painting came together with artist Ron Lewis. For further information, please visit www.JewishBaseballPlayer.com.